On the occasion of presenting two facilities in the Kirchner Cultural Center, the legendary musician and producer Brian Eno went through Buenos Aires, in what was his first visit to Argentina. ... In 2012 he published one of 125 essays in the book What is going to change everything?, edited by John Brockman, editor of ... edge.com. 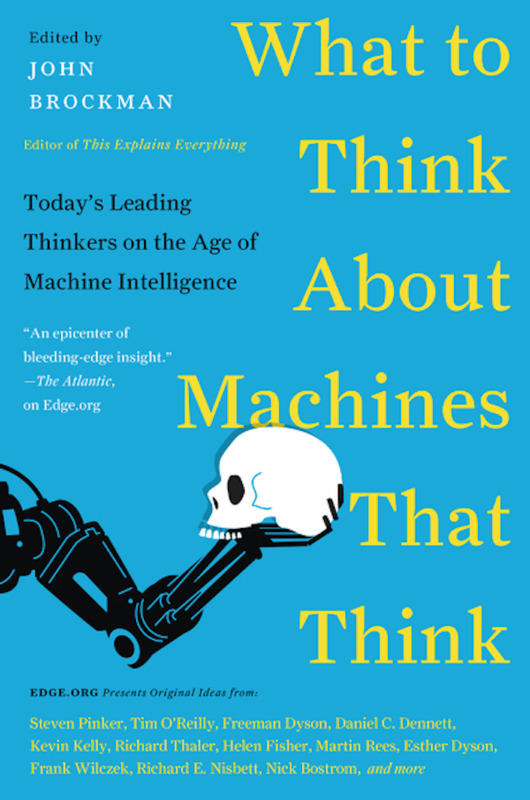 Most of the responses, written by authors such as Ian McEwan, Nassim Taleb, Steven Pinker or Ricahrd Dawkins, coming down the side of the artificial intelligence, synthetic biology, physics or astronomy. For Eno, "the development of mankind so far was driven by the idea that things, with high probability, will be better in the future. The world was rich in relation to its population, there were new lands to conquer, new thoughts to discover and exploit new resources. the great migrations of history was implemented from the projection that there was a better place. But what if this feeling changes?" Controversy about big data for social sciences: the sacred flame or false idols? "With Big Data we can now begin to actually look at the details of social interaction and how those play out, and are no longer limited to averages like market indices or election results. This is an astounding change. "- Professor Sandy Pentland - leading specialist in data science at Massachusetts Institute of Technology, USA - above Edge.org. Pentland had ambitions to reinvent human society on a large database platform. He believes that with scientific data, one can understand the operating system to generate human society of the future system stable and safe. Thus, the financial system is not disturbed, paralyzed government and the health system will actually work effectively. "The ability to see the details of the market, of political revolutions, and to be able to predict and control them is definitely a case of Promethean fire—it could be used for good or for ill, and so Big data brings us to interesting times. We're going to end up reinventing what it means to have a human society." - Professor Sand Pentland said. I imagine the reluctance to publish Q&A interviews is one reason that we British readers find so few serious interviews with scientists in our newspapers—compared, say, to interviews with novelists or with retired politicians. It need not be thus. John Brockman’s Edge publishes (almost) exclusively long verbatim conversations between scientists about science, and every one of them is riveting. Oscar Wilde said something to the effect that he never needed to go out in the evening when he could find such wit and wisdom in the books he had at home, and I feel something similar when I read interviews on Edge. Indeed, it may be as well that Edge limits itself to publishing one main interview per month, since if there were many more of them I would have time for nothing else. Oscar Wilde said something to the effect that he never needed to go out in the evening when he could find such wit and wisdom in the books he had at home. I feel something similar when I read interviews on Edge. In Italy there are two cultures, humanities and science: from the union of these two seemingly opposing visions of the world depends on the survival of our own society. Young researchers and scientists can make a difference. …The emotion unites science and art, humanistic and scientific culture. Are the same poets, playwrights, directors, astronomers, scientists, explorers, architects, artisans and to become excited during the creative process, investigation, discovery, accompanying their work. In short, the excitement can mend the breach between science and humanism that, at least in Italy, it seems not be solved by Benedetto Croce times. There is a third path to take, or we are faced with a dead end? 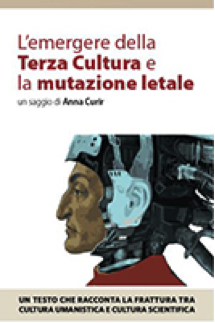 To reflect on the contrast between scientific and humanistic culture is Anna Curir, associated INAF Astrophysical Observatory of Turin, just in the bookstore with The Emergence of the Third Culture and Lethal Mutation, published by the Sirente. This fascinating book contains the thoughts of the world's leading biologists, geneticists and evolutionary theorists. It's all about where we are, and where we're heading—from a comparison between genes and digital information to new findings on how parents individually influence the human genome. The Horsemen of the Cyber Apocalypse: Is Innovation a New Religion? The world of innovation, entrepreneurial and technological singularity is full of parallels with religion: there are prophets, pilgrimage centers (Silicon Valley, Tel Aviv, Seoul, Shenzhen), tribes of believers, heretics and revealed truths. The commonalities could become a simple curiosity, a thesis topic of a humanistic career, if not because there is a group of technologists and experts on this agenda who believe this cogency of religious values ​​acts as a bias that could lead to wrong projections. And the forecasts of vehicles without human drivers, lives of hundreds of years, end of employment, to travel by virtual reality and other phenomena that are as inexorable from the field of innovation could be saying more about our present, with its molded psychological and cultural patterns in thousands of years, about the future. . . . In the movie 2001 Space Odyssey, filmed in 1969, Stanley Kubrick imagines a future of space travel, but all women of history are hostesses, assistants or secretaries: the director did not foresee the gender revolution of the 70s. Steven Pinker talks about this in his essay in the book This Will Change Everything, published by the director of the website Edge, John Brockman. This approach leads to the conclusion that the existence of certain technology is a necessary and sufficient condition for a large-scale social change associated with that progress in a short time. . . .
To start the day well above: what if everything keeps getting worse? Six years ago, John Brockman, editor of Edge.org, published a book with 125 short essays written by several of the most influential thinkers in the world, who attempted to answer the question: "What is going to change everything?" The texts were authors like Richard Dawkins, Ian McEwan, Nassim Taleb, Steven Pinker, Freeman Dyson and Jared Diamond, among others. Most responses came from the field of artificial intelligence, synthetic biology, physics and astronomy (the most repeated response will change what all was the discovery of intelligence beyond Earth). This month’s Insights column was an attempt to use simple puzzles to highlight the consequences of the infinity assumption in the physical world. The idea was sparked by an article by the physicist Max Tegmark that was written for the book, "This Idea Must Die." Tegmark’s article is excerpted in a blog at Discover magazine under the title, "Infinity Is a Beautiful Concept — and It’s Ruining Physics." John Brockman is best described as an impresario of ideas. Technically, he is a literary agent, and a highly successful one. But his fame—and unique contribution to the world of ideas—comes from a very specific niche he has carved out for himself. He represents some of the brightest minds in the world, in science, technology, arts and humanities. As for those he does not represent—well, he has their phone numbers anyway on speed dial. And his friend and client circle includes at least a couple of dozen Nobel laureates. Edge.org has an annual ritual. Brockman poses a question, and gets some seriously bright people to answer it. 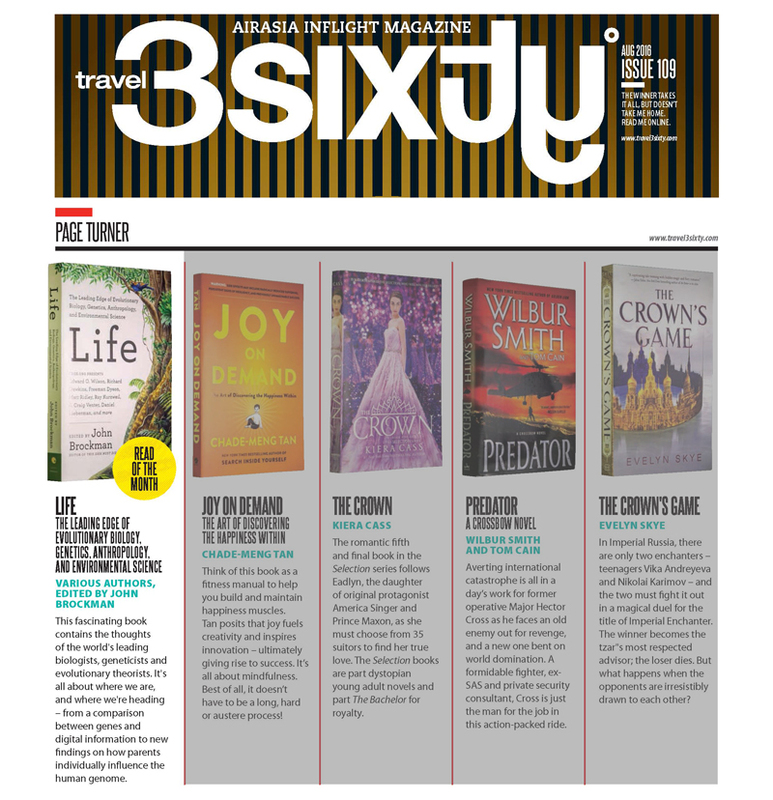 Chosen answers are published in the form of a book. 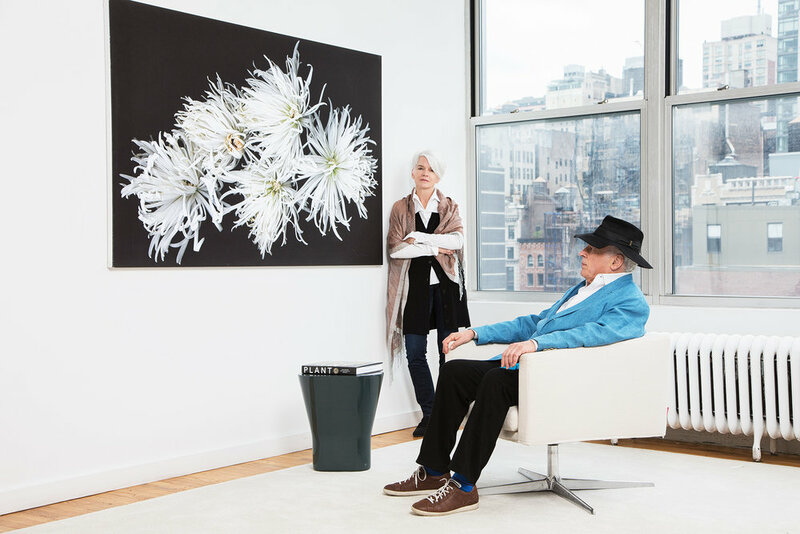 John Brockman is a colourful character, known to share photos of himself rubbing shoulders with the likes of Andy Warhol, Bob Dylan, or John Cage. That popular culture should include intelligent conversations about science is a given for him. Edge.org, sometimes dubbed “the world’s smartest website”, was born out of an idea from Brockman’s late friend, performance artist James Lee Byars, who suggested that rather than trying to assimilate the information contained in the six million books housed in the Harvard library it might be more productive and instructive to assemble the hundred most brilliant minds and have them ask each other questions in order to achieve what Brockman has referred to as “a synthesis of all thought”. ...[T]here is an advantage to reading the essays featured in Life as opposed to gleaning information from random articles on the Internet. On the net knowledge is dispersed, whereas this book has a structured sense of narrative, showing how research from different disciplines, and their disciples, can bolster and inform each other. Ultimately, the sum of the whole is greater than the sum of the parts, perhaps an apt and fitting off-the-cuff metaphor for the subject matter – life. [Mary Lou Jepsen's] vision is broad and sweeping: it runs from a new generation of extremely high-resolution, affordable MRI machines for early detection of cancer, heart disease, and more, to a far-out time (or maybe not so far-out) when machines can read people’s minds and people can communicate—with each other and maybe even with animals—via thoughts. The idea “leverages the tools of our times,” Jepsen says, citing advances in everything from physics to optoelectronics to consumer electronics to big data and A.I. that can be combined to shrink the size, improve the functionality, and lower the cost of MRI. “I could no longer wait. I’m still writing up the patents. But I am incredibly excited to strike off on this direction,” she says. Mathematician/economist Eric R Weinstein is managing director of Thiel Capital, but that doesn't mean that he thinks capitalism has a future. Will we ever really talk with the machines? Like many people nowadays, I do not talk on my iPhone as much as talk to it. That’s because it runs a program called Siri (Speech Interpretation and Recognition Interface) that works as an intelligent personal assistant and knowledge navigator. It’s useful, in a way. If I ask it for “weather in London today”, it’ll present an hour-by-hour weather forecast. Tell it to “phone home” and it’ll make a decent effort to find the relevant number. Ask it to “text James” and it will come back with: “What do you want to say to James?” Not exactly Socratic dialogue, but it has its uses. Ask Siri: “What’s the meaning of life?”, however, and it loses its nerve. “Life,” it replies, “is a principle or force that is considered to underlie the distinctive quality of animate beings. I guess that includes me.” Ten points for that last sentence. But the question: “What should I do with my life?” really stumps it. “Interesting question” is all it can do, which suggests that we haven’t really moved much beyond Joseph Weizenbaum’s famous Eliza program, which was created in the MIT Artificial Intelligence Laboratory between 1964 and 1966. . . .
. . . [O]ften what really matters to us humans is stuff that we have difficulty articulating. What’s brought this to mind is an extraordinary interview with Stephen Wolfram that’s just appeared on John Brockman’s Edge.org site. The term “genius” is often overused, but I think it’s merited in Wolfram’s case. Those of us who bear the scars from school and university years spent wrestling with advanced maths are forever in his debt, because he invented Mathematica, a computer program that takes much of the pain out of solving equations, graphing complex functions and other arcane tasks. But he’s also worked in computer science and mathematical physics and is the founder of the WolframAlpha “computational knowledge engine”, which is one of the wonders of the online world. . . . In the 1960s he was a performance artist, he is now a literary agent in New York, his specialty: bringing ideas of renowned scientists to the people. John Brockman...put out a new book, and writes the question..."What scientific idea is ready for retirement?" Every year, the site Edge.org a question to about 200 people at the research frontiers. Among those surveyed are geneticists, physicists, philosophers, people who work with artificial intelligence, plus the odd wild card, as Kai Krause (maybe someone will remember the wayward landscape modeling program Bryce; it was his work). The questions of the type "What have you changed your opinion about?" Or "What a scientific idea, it is time to retire?" The aim is to provoke thoughtful responses. 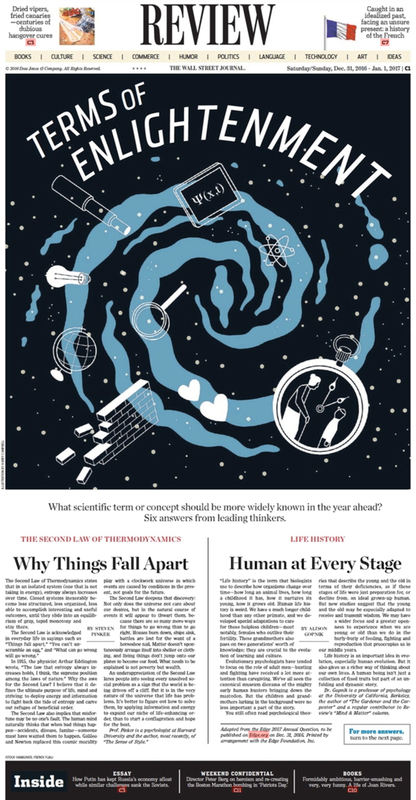 This year was the question "What is the most interesting scientific news?" The answers are not always intellectually dope, but together they provide a snapshot of what is going on in the various research fields. What will we learn about in the next few years? Bacteria. The realization that man is dependent on the interaction with bacteria and parasites are breaking through.The bacteria on us and in us control gene activity in our bodies, writes bioantropologen Nina Jablonski. A poorer bacterial flora can lead to obesity, allergies, possibly autism. Perhaps we will soon see ads for bacterial smoothies to everything from obesity to depression.